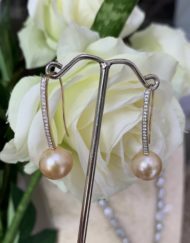 Southsea Pearls is a term encompassing pearls grown in salt water which have a high lustre from the mineral content of the oceans. 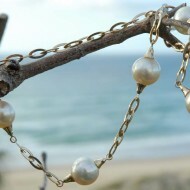 Southsea Pearls are grown in a number of locations, primarily Australia, Tahiti, Indonesia and the Philipines. 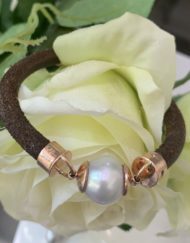 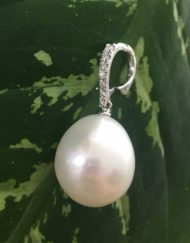 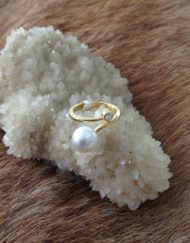 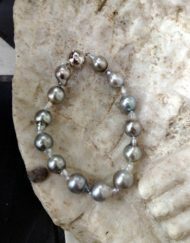 In all areas, the pearls are cultured in oyster shells in the ocean or inlets, reef areas and atols. 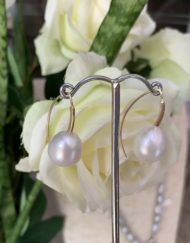 Each area has a different Oyster shell variety typical to that area, which influences the colour, for instance, in Australia we have the Maxima shell which naturally developes white, gold and silver white pearl. 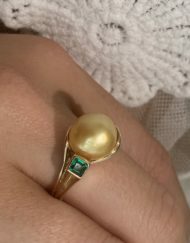 In Tahiti, they have the Black Lipped Oyster, which develops the darker ocean colours from deep black to green, silver and redish black colours. 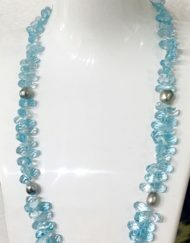 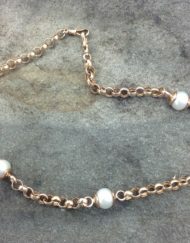 All salt water pearls are generally larger in size, from 10mm to 18mm, and in rare cases, larger. 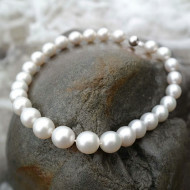 Some of the most beautiful and most highly sought after pearls in the world are grown in the sea, and can be quite expensive, generally more expensive than Freshwater Pearls, primarily because it is more difficult to culture pearls in the oyster because the growing areas are more open to climatic change than freshwater pearls, which are grown in the mussel shell in lake areas which are not as open to the weather and can be cultured in much greater numbers. 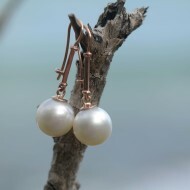 Our Southsea Pearls are sourced primarily from Australia and Tahiti. 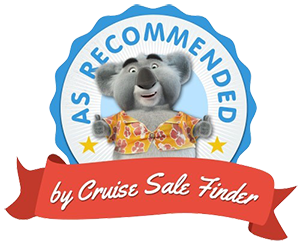 We make our own settings, and try to bring to our audience a contemporary selection.